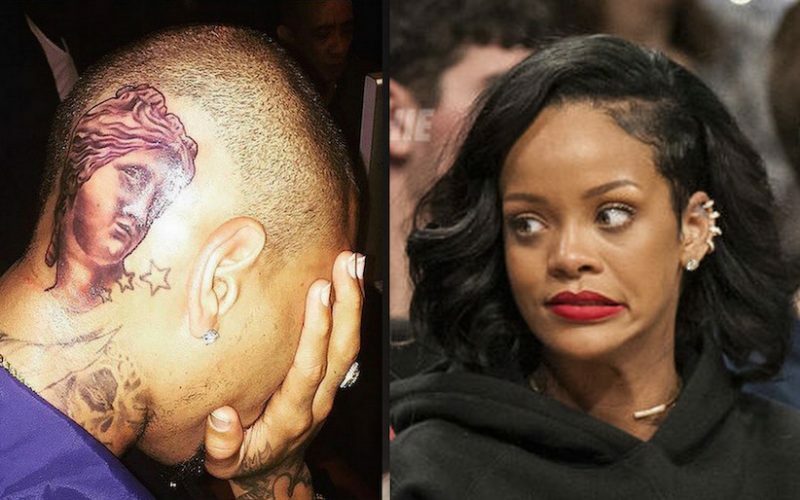 Rihanna is not a fan of Chris Brown new tattoos. The “Loyal” singer has been showcasing his new body arts on IG including two new ones on his head and several on his legs. Seems Rihanna is not feeling Breezy’s new tattoos because she told him that they were poor decisions. “She hates them especially the ones at the back of his head,” sources told Urban Islandz, adding that RiRi told him to slow down on getting more tats. Sources also told us that Chris Brown wasn’t too happy being told by Rihanna that his new body art is ridiculous. “He wasn’t too happy that she called him out about it, but she got to be real with him about it. 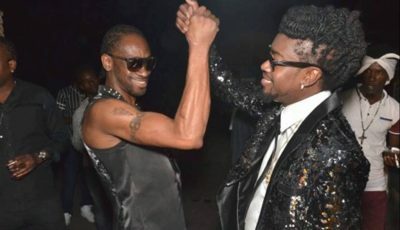 I mean even his fans think that they are ridiculous,” an insider said. 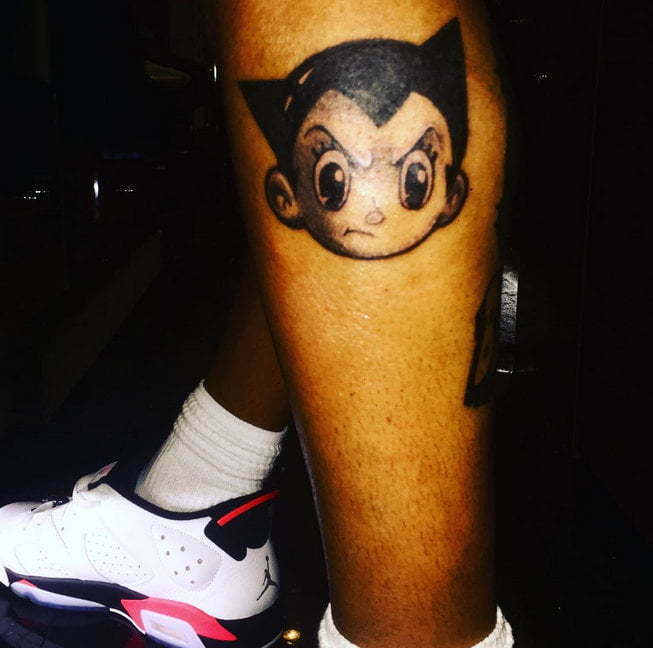 Chris Brown got two new tats on his legs of a Dragon Ball and Astro Boy. Brown has also been getting some harsh cirticisms from his fans for his new tats but he doesn’t seem to care because he is getting more. “Venus De Milo; the Greek Goddess of Love. Bull; represents the Taurus that I am.Strategically placed on the left side of my head in protection of my heart for the Love of my Goddess… ROYALTY is everything and as man, we protect that with everything!” he wrote on his Instagram page. The “New Flames” singer already has several tattoos all over his body and is showing no signs of slowing down. 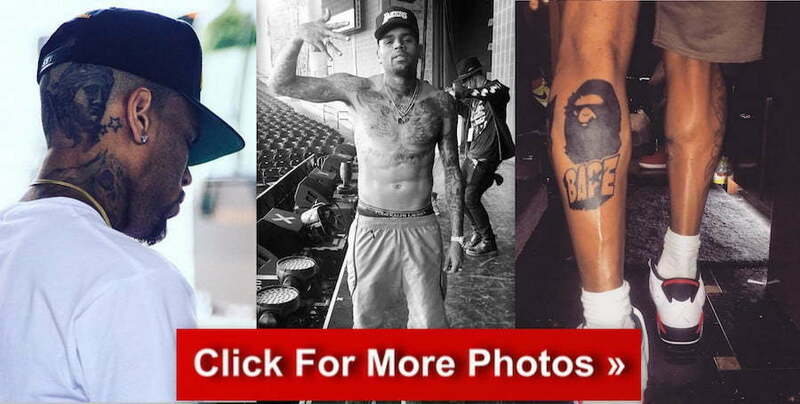 Check out more photos of Chris Brown tats below.